Step 1: Don’t be shy, make the first move. Email, phone, private message, scream, do whatever you need to, you’ll have our undivided attention. In that order. We still prefer to meet people, face to face, unless time is a concern. Either way, we’ll learn about your needs, discuss and consult some amazing ideas. After our initial meeting or discussion, we’ll provide you with all the fabulous details you’ll need to make an informed decision with a price quote. Step 4: Our work is a collaborative effort between our team and yours. The girls of Creative Coco'Nuts designed a company image which is perfect for me! l've had dozens of friends and family members tell me that the designers nailed the message I was looking to put out there and I agree completely. I couldn't imagine anything better for my business! If you want to stand out from the crowd, Creative Coco'Nuts is the way to go ! Thank you Creative Coconuts! 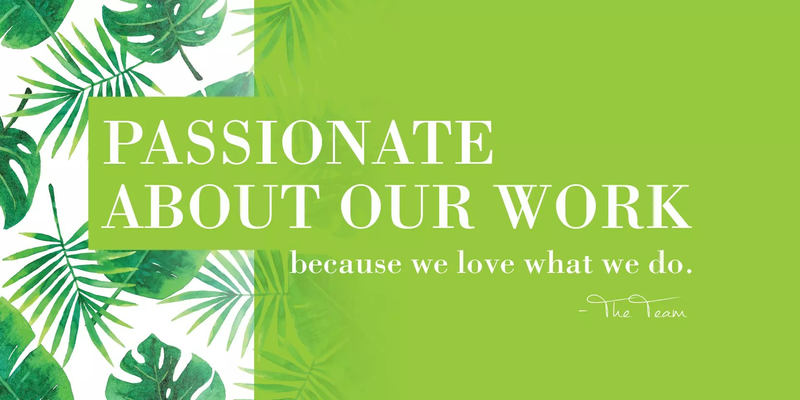 In a process where we felt frustrated and overwhelmed, Julie and her team at Creative Coconuts took those messy ideas and transformed them into exactly what we were looking for in a logo for our new company. Creative coconuts has provided us with excellent service every step of the way. I would highly recommend them to any company looking for a creative partner to help develop a corporate identity.Julie has always been exceptionally perceptive of what we wanted and needed and never lost sight of that along the way. From our very first meeting, we were able to trust this business and its professionalism. Creative Coco'Nuts has filled every one of our needs beyond our expectations by offering constant support. We particularly appreciate their ability to serve us in French or in English. Thank you Julie and Céline for your precious advice, your exceptional creativity, your availability, and mostly the speed with which you are able to produce work for us. La Poutine is proud to be one of your business partners! It is always hard to find the perfect ally with whom to share our marketing ideas in order to facilitate to share our marketing ideas in order to facilitate the start-up of a business! This being said, I found a hidden gem: Creative Coco'Nuts. Their attention to detail, their dedication to their work and their professionalism surpassed the expectations of a small business like mine. These young business women have proven time and time again their creativity and originality! I recommend them without hesitation!